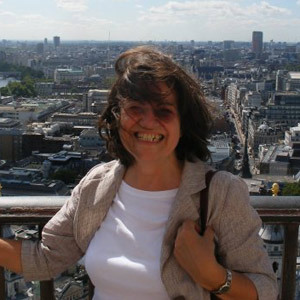 Jeanette Hall has over 15 years experience teaching ESOL (English as a second language) in classes working for the Local Education Authority in Kingston and one to one both privately and in homestay language schools. She has mostly taught adults from 18 to 70+ years old with completely different levels of language skills and abilities from people who cannot read and write to University entrance and beyond. She has successfully taught English for examinations: TOEIC, IELTS, BULATS, Doctors for the PLAB (Professional Linguistic Assessment Board), Cambridge 1st Certificate and Pitmans at all levels. She is a firm believer in: “hear it – write it – speak it – use it”.